During the first week in May, our education team piloted two collaborative programs at the Rotella Inderdistrict Magnet School in Waterbury. Students learned about Ellen and her "big idea" for the mural, as well as the process of creating portraits of American workers. 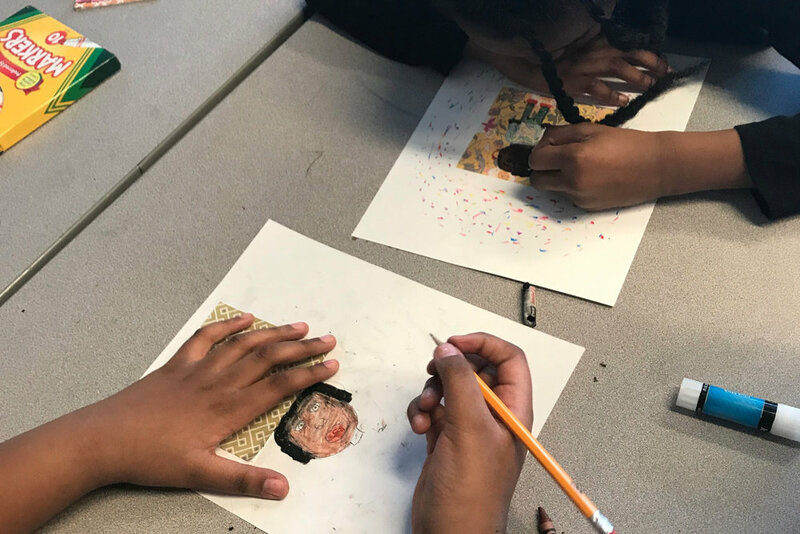 Second-graders made mixed media projects focused on their own "big idea,” while fourth-graders participated in a Blues songwriting workshop focused on subjects in the mural and their own lives, and also created self-portraits using paper plates.